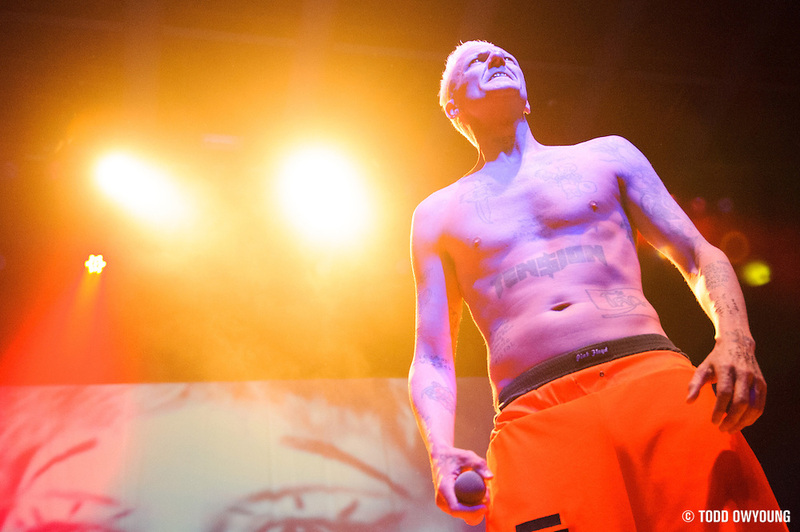 Here's a quick preview from last night's gig with South Africa's foremost ambassadors of zef culture, Die Antwoord, who rocked a nearly sold out crowd at the Pageant. Whoa. Lighting for this show was relatively terrible, but the intensity of Die Antwoord's Ninja and Yolandi Visser was just too fun to let the strage lighting be too much of an inconvenience. Full set and shooting notes coming soon, guys. Yesterday, I’ve seen their music videos on youtube. From the videos that I’ve seen it seems they’re unique and have a quick movements on the stage. Hahaha. I just wondering, How’s their concert, Todd? Thanks, Hafiyyan. The show was pretty crazy – lots of movement on stage and even off the stage (with a little stage dive). The fans were really into it all.